Happy Friday! 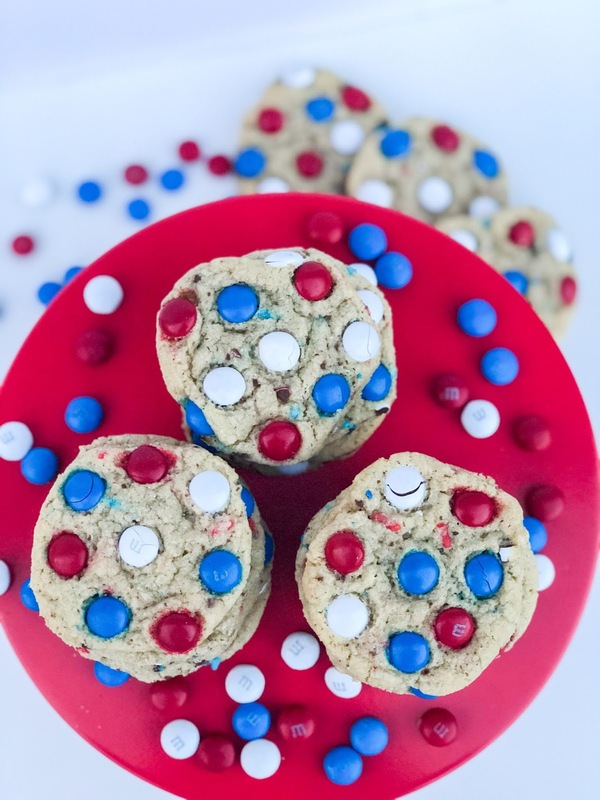 Our country’s birthday is just around the corner, and I wanted to share with you these fun, patriotic M&M cookies. These are without a doubt the best M&M cookies I have ever had! They are perfectly soft and chewy and so easy to make. These would be great to whip up a batch to take to your 4th of July cookout next week. The best part about them is you can make them for any holiday with the seasonal colored M&Ms – pastels for Easter, red and green for Christmas, orange and black for Halloween…you get the idea! You can even throw some sprinkles if you’d like. 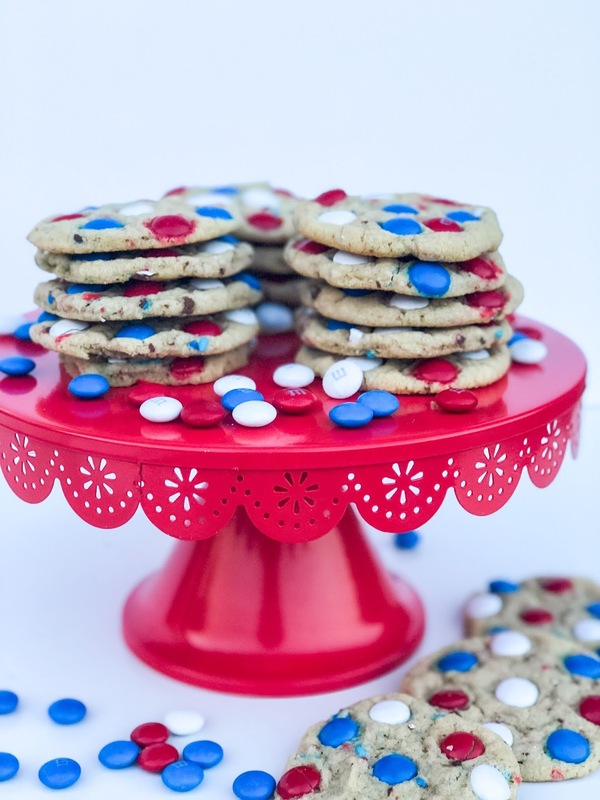 I added red and blue sprinkles for these 4th of July cookies because I thought they’d look sort of like fireworks! My girls love to help stick the M&Ms in the top of the cookies. Well, Raley likes to help. Audrey likes to pour all the M&Ms on the pan and play with them. Either way, they think it’s fun! So let’s get to it! I hope you enjoy these cookies. They are to die for! These cookies are modified from this recipe by Lil Luna. 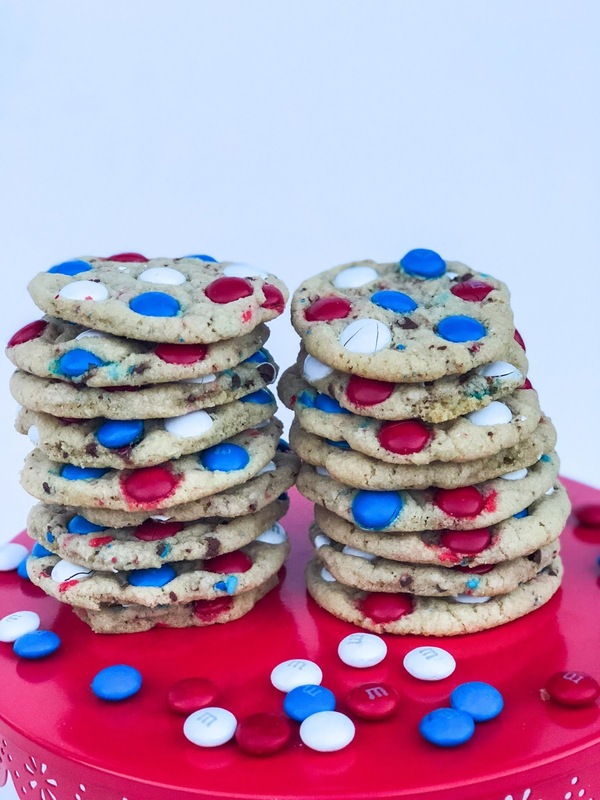 The BEST M&M cookie recipe. 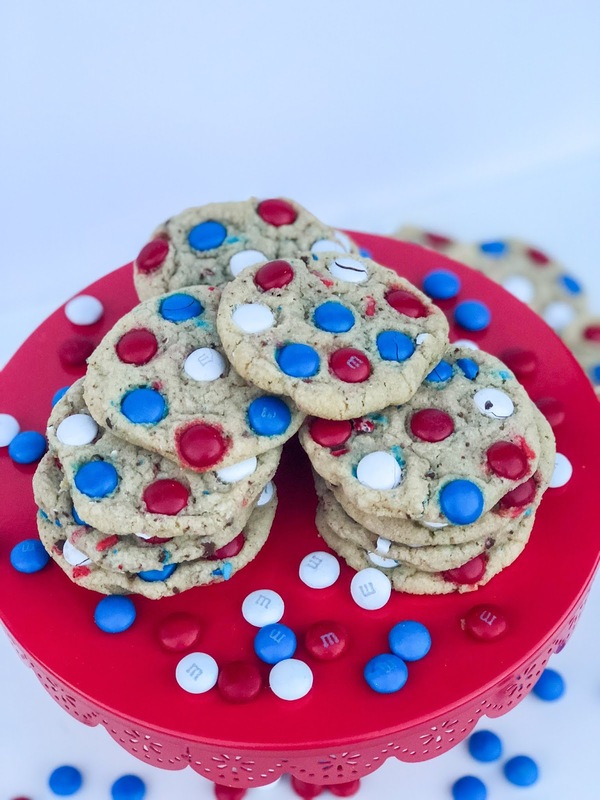 Red, white and blue M&M cookies. Modify this cookie recipe for any holiday. What is better than M+Ms and cookies?! Pinned this for later! Thanks, Kait! They are delicious!